James starts off by talking about Kerby’s nutrition plan. Kerby: I forgot to log my food. James: Dude, come on man! Kerby: I’m sorry! I’m really sorry. James: It’s just as important as you and I going out to the gym. 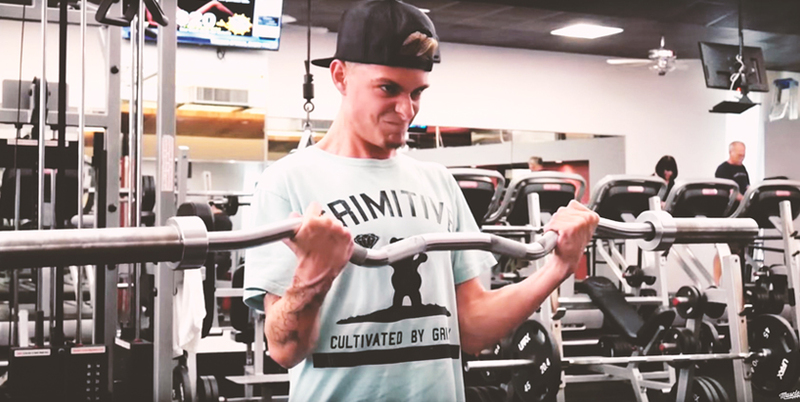 James: So if you don’t log it, I’m not gonna work out with you. That’s how important it is. Alright? James: You will not get to where you want to go if you don’t follow the nutrition plan. No matter how hard you work out. That’s why I’m putting such an emphasis on it. After the brief lecture, James and Kerby head out to the BPI gym for leg day. Even though it’s only been several days, James notices a difference. The next day, James puts Kerby’s newfound knowledge to the test and sends him out to do Tuesday’s shoulder workout on his own. Has Kerby been following James’ advice from last week about doing his planks every night? Watch the full episode above to find out.